Sorry about the long delay in posting. Seems Art Basel got us all in Miami feeling like this dude in the picture above, hungover and burnt out... Anyways we're ok besides that Basel beating we took. Will post up some of the pics I took later in the week. 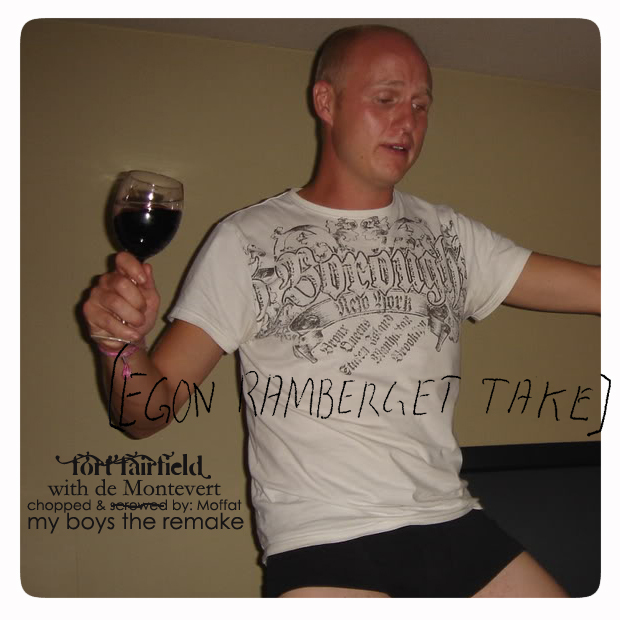 In the meantime wanna get right back in the saddle and post this great remix sent our way for Sweden's Fort Fairfield ft de Montevert for their track "My Boys" by Egon Ramberget (which might be that dude in the picture above). The song is pretty amazing! Dancey, catchy sampling fun done to sweet and utter perfection. Check it, download it. It's free and yours for the taking.